Costs – Fort Collins, Colorado hosts some of the most beautiful trees in the state. When it’s time to maintain or cut them down, homeowners should know what they might pay for the services. See those costs ahead of time here. FAQs – Planting trees in Colorado means knowing the climate and the tree species that thrive first. Learn more about what trees will flourish, which ones might not, and what diseases or pests you might need to keep an eye out for, in addition to other tidbits and tree facts. Services – There are a host of tree professionals in Fort Collins who can answer any and all questions you might have. Call one today. How Much Do Tree Services Cost in Fort Collins? Fort Collins, Colorado supports the growth of numerous trees, from huge shade trees to tiny ornamentals on both public and private properties. Here is an overview of the cost of tree maintenance and removal services in Fort Collins. Tree removals usually involve cutting and roping down a tree, part by part. Residents of Fort Collins say the average cost to remove a tree in the city is $715. The most common pricing falls within the range of $590 to $845. Tree removal can be hazardous, however. For removal jobs with higher levels of risk, such as those involving very tall or dense arbors like pines and elms, the price can exceed $1,500. In general, tree removal services do not include the cost of grinding up the leftover stump. Medium-sized and large stumps usually cost homeowners an additional $100, with a local range of about $80 to $140. The price goes towards the cost of labor and heavy-duty grinding equipment. Homeowners can expect to pay more for difficult stump removals involving extensive root systems and rocky soil that could harm equipment. They could see some savings, however, if the stump is old or rotting, as this makes the job easier. Regular tree maintenance is critical for preserving tree health, environmental safety and the aesthetic appeal of landscaping. In Fort Collins, it is essential for promoting the structural strength needed to survive on the Front Range. The average price for routine tree maintenance in Colorado is $325. Relatively few homeowners pay less than $270 or more than $380. However, extensive pruning, dangerous modifications and other tough maintenance procedures could cost buyers as much as $800. A green city that’s home to abundant deciduous and evergreen shade trees, Fort Collins has an intentionally rich urban forest. 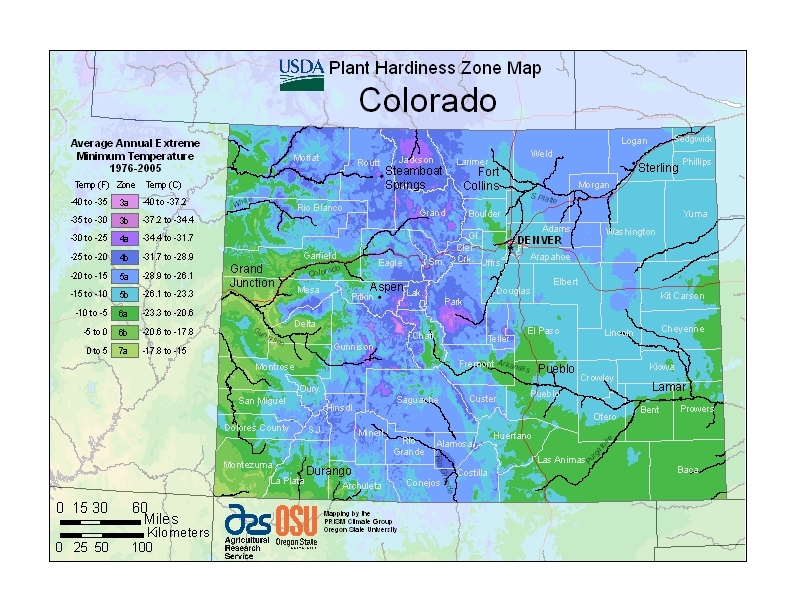 While growing conditions here can pose unique challenges, there are many varieties built to last in the city’s climate, like the state tree, the Colorado blue spruce. It is an evergreen conifer native to the central and southern Rocky Mountains. Prized for its stately profile, the blue spruce thrives in the chilled, well-watered ecosystem of the high Rockies. Under the right conditions, it can be cultivated in Fort Collins. 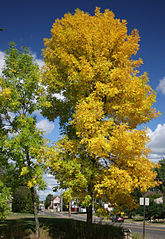 Green ash is not only the single most common tree in Fort Collins, it is also one of the tallest. The tallest trees in Larimar County also include Douglas fir, Carolina poplar, Lanceleaf cottonwood and Siberian elm, according to the Colorado Tree Coalition. Over time, Fort Collins is phasing out many of the most prevalent attractive varieties planted in the past. 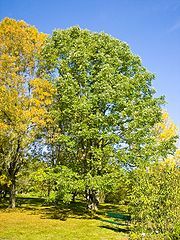 The city now favors large, easy-to-maintain trees such as white ash, oak, maple and linden which are more robust in resisting disease and tree pests. The City of Fort Collins has a large budget dedicated to sustaining the integrity and density of its urban canopy. The City Forester is in charge of rules enforcement for trees on both private and public property. Although private homeowners generally have discretion over their own trees, the City reserves the right to prune or remove private trees that pose a public hazard. All commercial arborists must be licensed to work on trees within the city limits. Licensees are required to inspect trees, itemize the components of each job and specify their objectives and methods before starting work. Crown topping is not allowed. Arborists should avoid using pruning equipment or tools that could damage living tree tissue, like climbing spurs. Fort Collins has strict rules concerning which new trees can be planted in the city. Property owners should choose species that are drought-tolerant, native to the area and able to thrive in the acidic, poorly irrigated soil characteristic of Fort Collins. The City maintains a list of suitable trees fitting this description. When planting new street trees by a public right-of-way street or path, residents of Fort Collins should pick thornless, disease-resistant trees with non-intrusive fruiting, a mature crown height appropriate for the site and the ability to grow with a single trunk. Planters should substitute canopy shade trees for shorter ornamental varieties if the mature height is likely to interfere with the tree’s normal development or infrastructure like overhead power lines. Ornamental trees should be planted at least 15 feet away from any streetlight or overhead line. At the doorstep of the Rockies, Fort Collins occupies a semi-arid niche with low precipitation and humidity. The city is accustomed to the roller coaster temperatures typical of communities on the Front Range. In fact, Fort Collins holds the state record for the most extreme temperature variation—90 degrees—in a 24-hour period. Erratic cold air drainage and unseasonal frosts also threaten local trees. Fort Collins can support some but not all fruit trees. Many are prone to bearing fruit one year only to fail the next. It is normal to see one to two fruitful seasons every five years or so. While apple, pear, plum and sour cherry trees are fairly hardy in this zone, peach and apricot trees often succumb to untimely spring frosts. Regular watering and pruning are necessary to give trees their best chance when the weather is especially dry. It’s also important to prune trees at the right time to enhance structural resilience. This is usually in January, just before trees exit their dormancy. Bark beetles like the mountain pine beetle commonly affect lodgepole trees and ponderosa pines in Fort Collins. The emerald ash borer from the Eastern U.S. has been sighted in Colorado and could pose a significant threat to area ash trees. Siberian elms are no longer allowed in Fort Collins because they are so susceptible to the elm leaf beetle.